Co-sponsored by the Windsor Symphony Orchestra, this event will feature the WCC as well as choral organizations from the Windsor area. 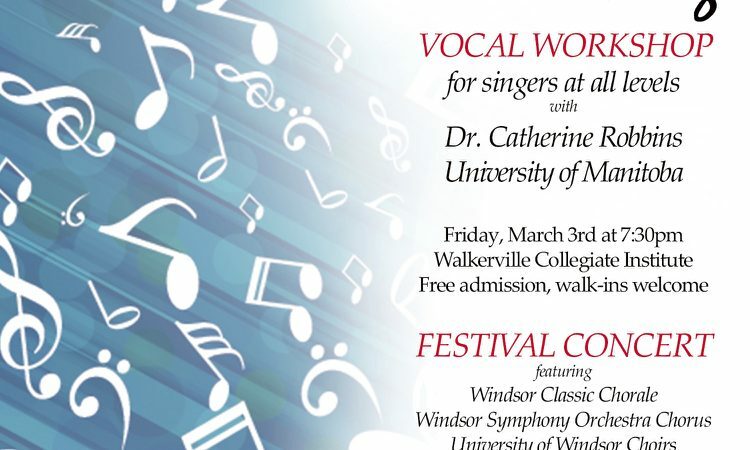 Dr. Catherine Robbins from the University of Manitoba will be our clinician. The closing concert will feature each individual group and include a final massed choir number that will bring the house down. You won’t want to miss this annual event celebrating our shared love of choral music.